Sadie Adams spent years hiding a secret in her journal. 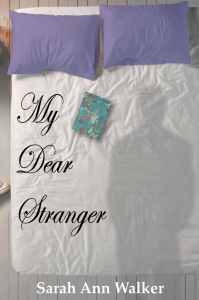 A beautiful secret wrapped in the dear stranger who came to her in the night. A stranger who came to her filled with love, passion, and devotion. And her only release from her secret days and lonely nights came from her journal; a journal that kept her company as life slowly passed her by while she anxiously waited for his return. Waiting, the darkness and pain grew until within the grip of loneliness and death, she finally found a light to hold onto. Even as a Darkness was born to destroy her.